September has moved right by me….internet downtime stuff….getting ready for retreat in October…participating in the First Parish Arts and Crafts Festival at St Jerome’s…working on a group knitting project that is nearing completion…exercising the pup Lucy….and the research that I have been doing on the family memoir blog has consumed me. I knew that I had a lot of family history knowledge but had no idea how much and at the same time how many holes there were. Have spent more time talking with my aunts in the last few weeks than I have in many months and, in some cases, years. Great way to reconnect! And the creativity of the knitting and the bonds of friendship continue. 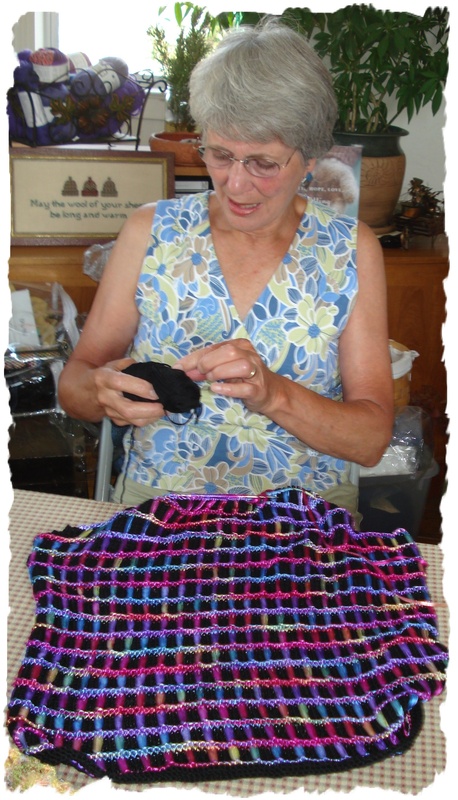 In my next post I am going to share the many connections that we knitters bring to the knitting table….so stay tuned for that. You might find new resources for yourself. 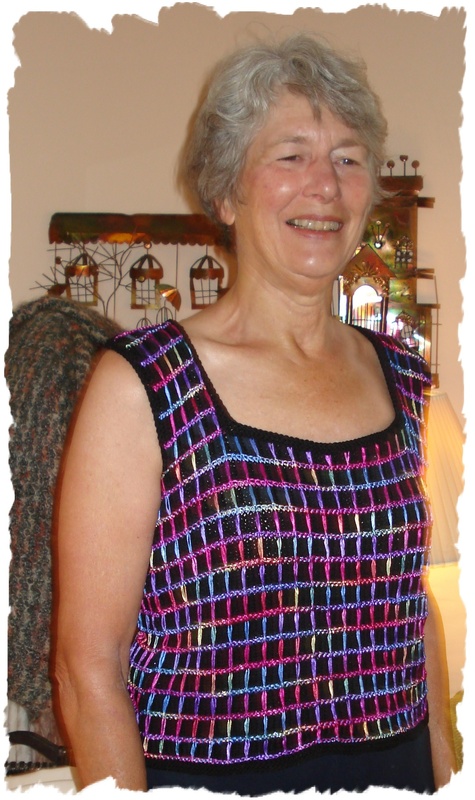 Most recently Nina completed a beautiful tank top that she matched up with black pants to wear to a wedding. Take a look at the work in process and the completed project. 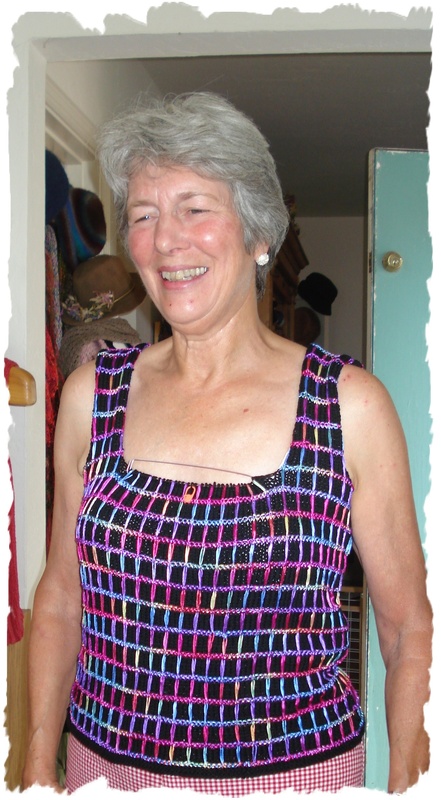 Nina in her almost finished tank – notice the stitch holder!